Norwegian Cruise Line today announced Norwegian Epics 2015/16 winter itineraries from her new year-round homeport of Barcelona, Spain. From November 29, 2015 to April 7, 2016, Norwegian Epic will set sail from Barcelona on 10-night Canary Islands & Morocco itineraries, and 6-, 10-, 11- or 12-night Western Mediterranean itineraries. 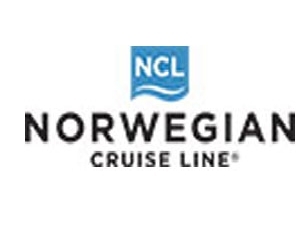 Norwegian Epics new Europe itineraries will open for sale in Continental Europe in early April 2014. Norwegian Epic is the perfect ship to bring to Europe year-round and its new Europe itineraries are sure to be a hit among cruisers looking to explore this spectacular part of the world, said Kevin Sheehan, Norwegian Cruise Lines President and CEO. These new itineraries provide exciting experiences and sights for our guests, while giving them a chance to spend more time exploring many of the beautiful cities that Europe is known for. Canary Islands & MoroccoNorwegian Epic will offer 10-night Canary Islands & Morocco itineraries from Barcelona starting November 29, 2015. These cruises will encompass some of the most sought after ports of call off the North Western Coast of Africa and will visit: Tangier, Morocco; Las Palmas, Gran Canaria, Spain; Santa Cruz de Tenerife, Tenerife, Spain; Funchal, Madeira, Portugal and Málaga (Granada), Spain. Sail dates are November 29, 2015; January 3, 24; February 14; March 6 and 28, 2016. Guests looking to celebrate Christmas 2015 on board Norwegian Epic can do so on a 9-night Canary Islands & Morocco itinerary which will be offered on December 19, 2015. Guests cruising for Christmas will visit Tangier, Morocco; Las Palmas, Gran Canaria, Spain; Santa Cruz de Tenerife, Tenerife, Spain and Málaga (Granada), Spain. Western MediterraneanGuests looking to cruise to the Western Mediterranean in the winter on Norwegian Epic can cruise on their choice of 6-, 10-, 11-, and 12-night itineraries. The 11-night itinerary features ports of call including Cagliari, Sardinia, Italy; Carthage, Tunisia; Palermo, Sicily, Italy; Naples (Pompeii), Italy; Civitavecchia (Rome), Italy; Livorno (Florence/Pisa), Italy and Palma, Majorca, Spain, and will be offered on January 13, February 3 and 24, 2016.On December 9, 2015 and April 7, 2016, Norwegian Epic will sail two 10-night Western Mediterranean itineraries that visit Cagliari, Sardinia, Italy; Carthage, Tunisia; Palermo, Sicily, Italy; Naples (Pompeii), Italy; Civitavecchia (Rome), Italy; and Livorno (Florence/Pisa), Italy. Guests looking to cruise through the New Year can set sail on December 28, 2015, from Barcelona on a 6-night cruise. Ports of call include Civitavecchia (Rome), Italy; Naples (Pompeii), Italy and Palma, Majorca, Spain. On March 16, 2016, Norwegian Epic will depart for its longest Western Mediterranean winter season cruise, a 12-night itinerary that visits Valencia, Spain; Cagliari, Sardinia, Italy; Carthage, Tunisia; Palermo, Sicily, Italy; Naples (Pompeii), Italy; Civitavecchia (Rome), Italy; Livorno (Florence/Pisa), Italy and Palma, Majorca, Spain. About Norwegian Epic While cruising throughout Europe, guests can discover why Norwegian Epic was named Best Ship for Sea Days in 2012 by Cruise Critic, as they experience the ships array of recreational activities from the expansive Aqua Park, featuring three waterslides and the largest bowl slide on water, the Epic Plunge, to the abseiling wall, rock climbing wall, bowling alley, and pampering Mandara Spa, one of the largest spas at sea. Foodies cruising through Europe on board Norwegian Epic will delight in the ships more than 20 different dining options. Steak lovers can feast on steakhouse favourites, including Certified Angus Beef in Cagneys, the lines signature steakhouse. Moderno Churrascaria, Norwegians Brazilian-style steakhouse offers guests the opportunity to sample succulent grilled and slow-roasted meats carved tableside by passadors in addition to Modernos expansive salad bar. Norwegian Epics Chinese Noodle Bar offers counter seating around an open kitchen and serves traditional Chinese noodles, wok-fried dishes and dim sum. For American Favourites and comfort food, guests can take a seat in O Sheehans Neighborhood Bar & Grill. Additional dining options include Teppanyaki, a Japanese hibachi-style restaurant; Sushi Bar; Garden Café, the ships action station buffet-style restaurant; The Manhattan Room, an art deco inspired supper club; La Cucina, Norwegians home style Italian restaurant; Le Bistro, Norwegians signature French restaurant; and more. Norwegian Epic also boasts 20 unique bars and lounges, including the SVEDKA/Inniskillin Ice Bar, which was the first-ever true ice bar at sea. When it comes to accommodation, Norwegian Epic offers a range of innovative accommodation options to suit every taste and budget. For guests looking for the ultimate in luxury, the ship features The Haven by Norwegian, Norwegians exclusive ship-within-a-ship suite complex comprised of 60 suites and villas on two private decks located on top of the ship. Norwegian Epic was the first ship to offer the award-winning Studio staterooms designed and priced exclusively for solo travellers, giving guests the opportunity to cruise solo throughout Europe. Plus, Norwegian Epic also offers a wide variety of comfortable balcony and inside stateroom options and family-friendly accommodations including multi-room Suites, interconnecting staterooms and two-bedroom Family Suites.